Of the many hats I wear, I count being a mother as the highest honor and biggest challenge. Being a mom means striving to provide the very best for your children, worrying if you’ve made the right decisions or just play done enough. One of the greatest tasks I’m faced with on a day-to-day basis is ensuring that my children eat well so starting their day off with a healthy breakfast every morning (no matter how chaotic). Proper nutrition is of the utmost importance because it gives the energy to get them through a busy day of learning and helps them focus on their workload rather than on a rumbling tummy. I cannot imagine not being able to meet my children’s basic needs, but for some American families it’s a real issue. The Kellogg’s brand has stepped up to combat and raise awareness of child hunger in their third annual “Share Breakfast” campaign. The campaign aims to provide one million breakfasts to children throughout the country via Action for Healthy Kids grants. 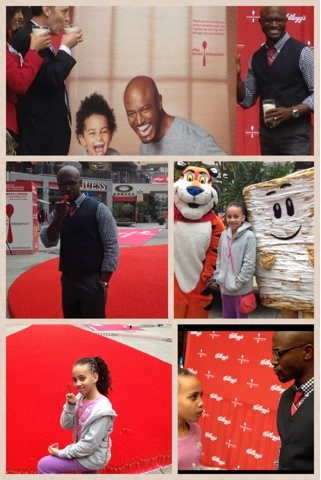 On March 5th, Share Breakfast spokesman and actor, Taye Diggs, made an appearance at Hollywood and Highland to speak on the subject of childhood hunger and unveiled a display of a massive red spoon made up of 160,000 smaller spoons. 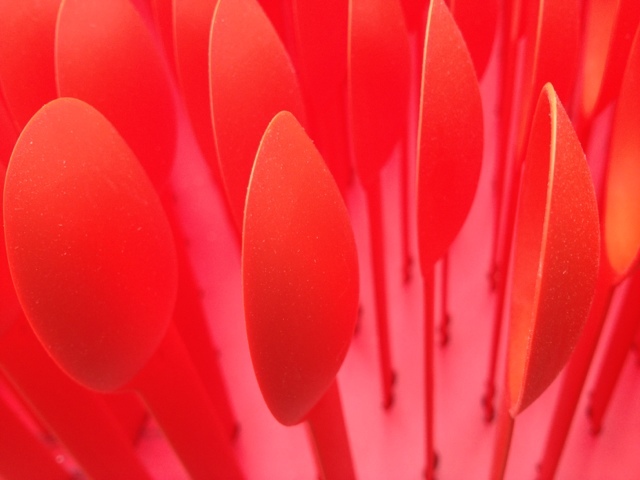 Kellogg’s will donate $1 for each spoon that visitors take from the display. "Usually when you hear about childhood hunger it's dealing with another country," Diggs said in his speech. "I think it's important to let people know that this issue is affecting kids in our country." We contributed by each taking away a spoon, but if you can’t make it to Hollywood and Highland, you can do you part by visiting www.sharebreakfast.com and watching two Kellogg’s Great Start videos narrated by Taye Diggs. Each time the videos are watched, shared or tweeted with the hashtag #sharebreakfast, Kellogg’s will donate breakfast to a child in need. It’s that easy!